If you’re reading this, I would like to congratulate you for being a great reader since 5 years. 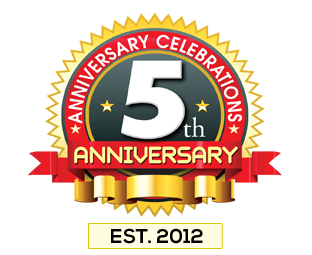 Yes, it’s been 5 years since we started MyBloggerLab in 2012 with an aim that we will provide quality Blogger resources to users, each year brought different challenges, but we opt to never give up on our passion and that was to reshape Blogger.com Platform. I personally like to thank you for your comments, tweets, likes, Google +1s, everything you did to support your favorite blog to help us grow. You indeed made us a popular blog. In 2012, I started this company in my small living room, I was just 15 years of age, but I had the vision to do something to help facilitate fellow blogger.com users with all the amazing features they always desire to have on their sites. In 2013, we started Templateism.com and within a few months it was a huge success. As a result, a lot of developers were following the trend that Templateism.com started by coping our IDEA. However, it is always a moment of pride for us that because of us a lot of developers started to give importance to Blogger.com. For a small startup managed by a 16 year old student, it was almost impossible to become a Premium BuySellAds Publisher but we made it possible within 6 months. We are the #1 Blogger resource sites (we only provide Blogger.com/BlogSpot related content and tutorials). In 2013, we started our sister site Templateism.com with the aim to provide Premium Blogger templates for FREE, and Which is now the #1 site for providing Blogger templates. In 2015, MyBloggerLab was listed in Dmoz Web design/Development WeBlogs category where only 30 other blogs are listed out of the whole internet. In 2015, Syed got his interview published in a local technology newspaper and the newspaper awarded him with the title of Emerging Successful Entrepreneur of Pakistan. 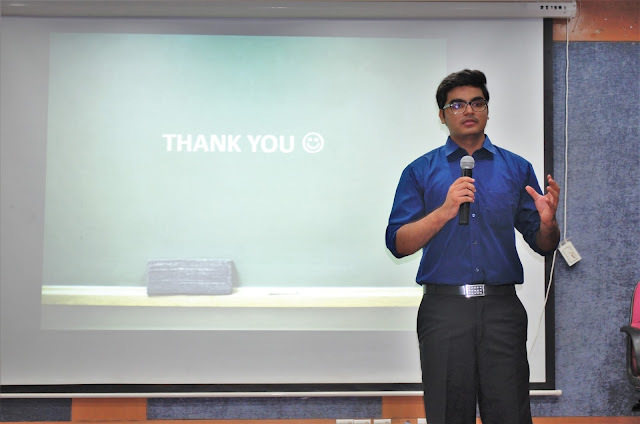 Our founder Syed was invited on several educational institutions of Pakistan as a guest motivational speaker to share his thoughts, story and insight about Entrepreneurship. In 2013, he was invited at Karachi University. In 2014, Syed Faizan Ali was invited at IBA (Instituted of Business Administration) Karachi. 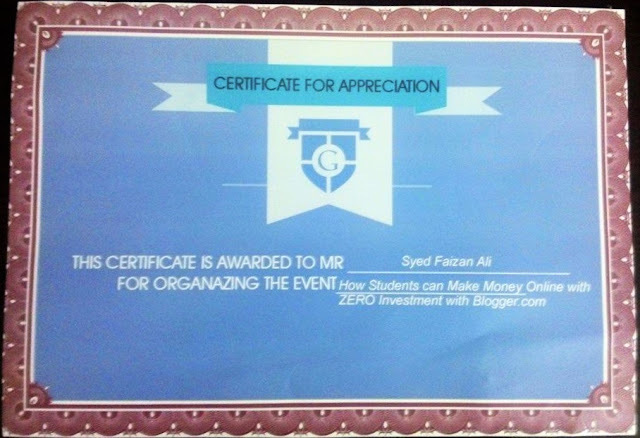 In 2015, Syed Faizan Ali also conducted an online workshop for the Google Student Ambassador Program, Pakistan about “How teens can make money online using Blogger.com”. In 2016, Syed Faizan Ali was invited at NED University Karachi. In 2016, Syed Faizan Ali was invited at Sir Syed University Karachi. In 2016, Syed Faizan Ali became Google's Top Contributor at Blogger Help Forum. Obviously, these are just a few ones that I selected. However, feel free to look through our achievements page and discover the all articles of MyBloggerLab published in 2016. 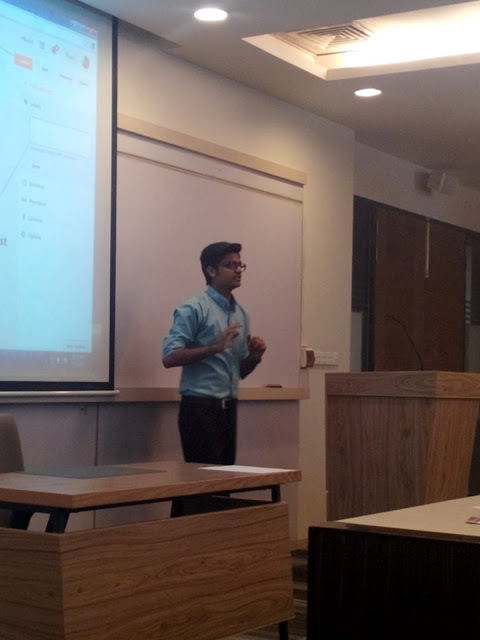 Following is the picture of Syed Faizan Ali explaining "How to Start a Blog" At Karachi University in 2014. 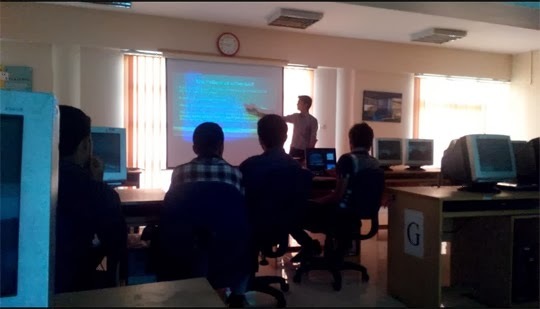 Following is the picture of Syed Faizan Ali explaining "How to Start a Blog with Blogger.com" At IBA Karachi (Main Campus) in 2014. 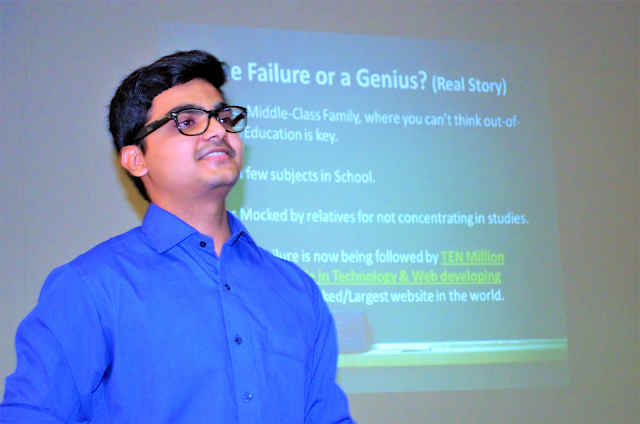 Following is the picture of Syed Faizan Ali sharing a story of a "Failure of a Genius" At NED University, Karachi in 2016. Following is the screenshot of the award (certificate) Syed Faizan Ali recieved from Google for conducting a workshop for the Google Student ambassador program, Pakistan. Following is the newspaper cutout of Syed Faizan Ali's interview published in Technology Times local weekly newspaper from Pakistan. In 2017, there is a lot of competition, so we need to build a complete new plan to be able to compete and win against the millions of other websites. "From now on we will also be actively sharing WordPress Tutorials, WordPress Plugins, WordPress Guides and WordPress Themes. Our new goal is to reach more webmasters and to provide them quality plugins for absolutely FREE. However, this doesn't mean we will not push new Blogger.com Tutorials, we will continue to provide Blogger Guides and Tutorials as well." In Short, our aim is to bring Blogger.com and WordPress platform closer and we want to bridge the gap by providing quality resources for both platforms. Once again, I would like to thank every single person who helped us grow and maintained their support throughout these years. I would like to acknowledge each and every user who ever shared, liked or commented on our articles. We hope this New Year 2016 would be a memorable year for Blogger as we are working on developing new templates, widgets, tutorials, etc. if anyone has any suggestion then, just message us on our Facebook Page, Tweet us @mybloggerlab or use our contact us form.